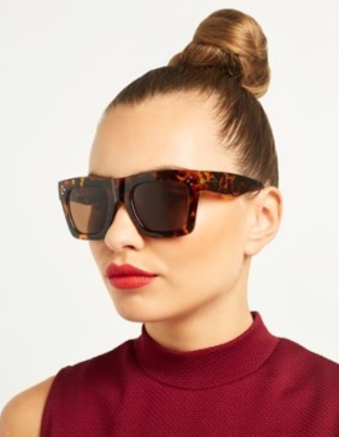 B Public Relations has been appointed to handle the UK PR, VIP relations and social media management services for ToyShades, a new British eyewear brand for men and women – offering an innovative approach to product design, pricing and optical prescription services. Available online and at TopShop Oxford Street, with a nationwide roll-out scheduled throughout 2015, ToyShades deliver a combination of classic and contemporary clear lens frames and sunglasses at reassuringly affordable prices, each design lightweight, hand-finished and logo-free. Giving opticals a fast-fashion reboot, ToyShades have also developed a unique in-store prescription service – style and fit consultation and single vision lens production within 1 hour, for just £40.00. Born from style and function and dedicated to wearable, inexpensive eyewear, ToyShades add new design injections to their collection on a regular basis, each informed by the brand’s affection for iconic, modern classic styles of the 1950s to the 1980s. Prices range from £20.00 – £40.00, with or without prescription.